What a slam dunk way to start off the Summer of Mentorship! 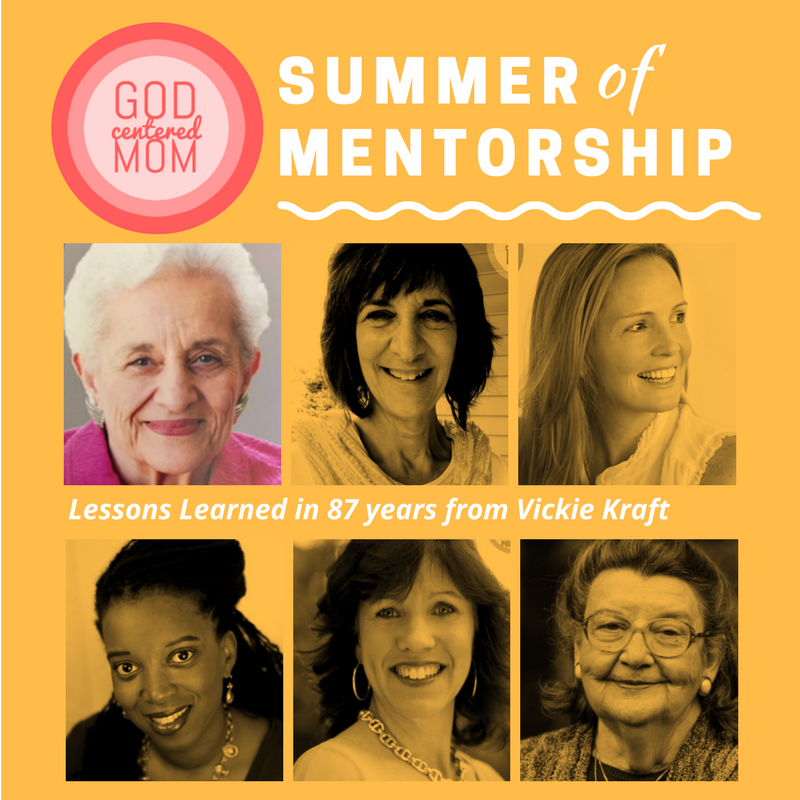 In May of 2015, author, speaker & mentor, Vickie Kraft, invited me into her home to record this conversation. Vickie was the first women’s minister at our church and has mentored many of my mentors. She attended seminary. . .in her 50s. . .and started her own Titus 2:4 ministry. Y’all. I didn’t want to stop chatting with her. What a holy experience! Every word and Scripture and truth Vickie spoke gave me a little more confidence, courage and peace. A few months after the show aired, Vickie went home to be with her Savior. Making this episode even more of a treasure than it already was. My hope is you can really allow her wisdom to sink deeply and hold on. We focus on God’s Word, His Faithfulness, our longing for significance, family dynamics, gratitude, and the reality of suffering. Vickie shares that God’s Word needs to be our anchor. Think of a time you applied God’s truth to your life. How did obedience to God’s Word change your perspective or reaction to that situation? Vickie shares about her mother’s faith that God would provide for her family when her father died. What are some places in your life you need to have more faith in God? Take a moment to surrender those places, people or needs to God in prayer. Declare his faithfulness. Anything (besides God) that we need to have to feel significant or to have purpose is an idol, even good things. What things in your life make you feel significant? Reflect on whether any of those things fills a place meant for God to fill. Thankfulness leads to contentment in all situations. Take a moment to write down 5 things you are thankful for right now. How can you stay in the attitude of gratitude throughout your day? Suffering is guaranteed in this life. Have you prayed for something that you did not see God change? Are you holding on to any bitterness toward him in your heart? Take a moment to re-surrender an area of unanswered prayer to God. Wow! This Summer of Mentorship seems really neat with the discussion questions. Thanks for putting this together! I need to get some girls together for this.